I am a big fan of The Body Shop products. Since they use natural ingredients in their skin care products, I prefer to go with it. The cost is a bit high, but if you compare the quantity with it, it seems ok. 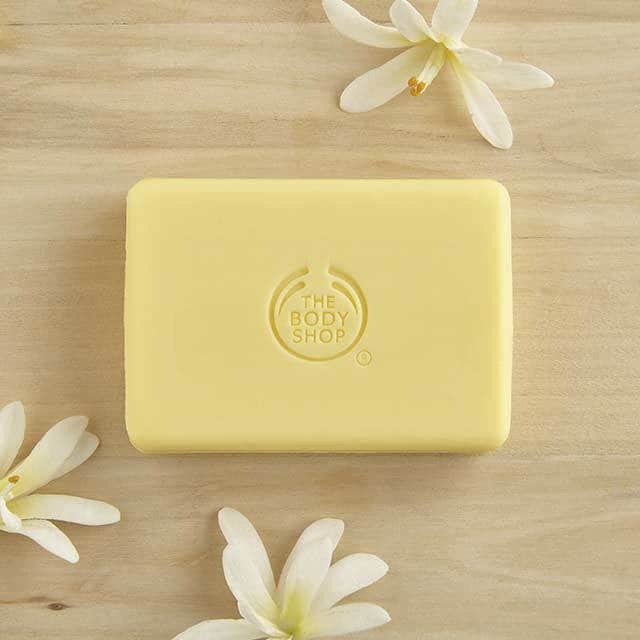 I have been using The Body Shop products for a long time now but never tried the soaps. I am a shower gel girl! 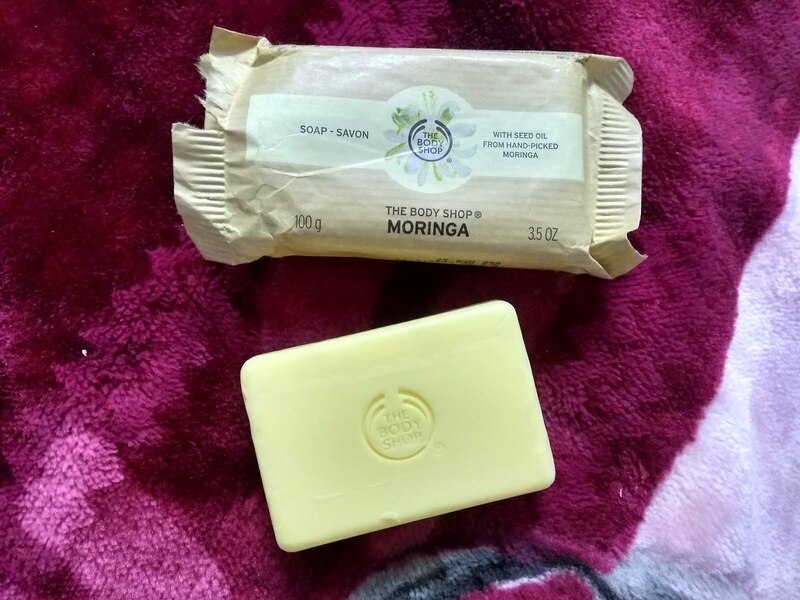 So, just to give it a try, I got myself The Body Shop Moringa soap on my last visit to the store. Let me tell you, I loved the fragrance from the moment I opened the packaging. It looked tempting and refreshing. Let's read the review! Wake up your shower with fresh bursts of florally scented moringa. Work this vegetable based bar into a rich lather for skin that feels thoroughly cleansed. Moringa seed oil will leave you feeling soft and hydrated. This white flower-scented soap contains real moringa seed oil. It gives a rich lather and leaves skin cleansed and refreshed. I prefer to use a loofah after applying the soap. It scrubs pretty well. Sodium Palmate (Surfactant), Aqua/Water/Eau (Solvent), Sodium Palm Kernelate (Surfactant), Glycerin (Humectant), Sorbitol (Humectant), Coconut Acid (Surfactant), Parfum/Fragrance (Fragrance Ingredient), Triethanolamine (pH Adjuster), Linalool (Fragrance Ingredient), Glycine Soja Oil/Glycine Soja (Soybean) Oil (Emollient), Moringa Oleifera Seed Oil (Skin Conditioning Agent - Emollient), Hexyl Cinnamal (Fragrance Ingredient), Butylphenyl Methylpropional (Fragrance Ingredient), Benzyl Salicylate (Fragrance Ingredient), Etidronic Acid (Chelating Agent), Tetrasodium EDTA (Chelating Agent), Geraniol (Fragrance Ingredient), Tocopherol (Antioxidant), Sodium Chloride (Viscosity Controlling Agent), Sodium Sulfate (Viscosity Increasing Agent), Citric Acid (pH Adjuster), CI 77891/Titanium Dioxide (Colorant), CI 19140/Yellow 5 (Colorant), CI 15510/Orange 4 (Colorant). 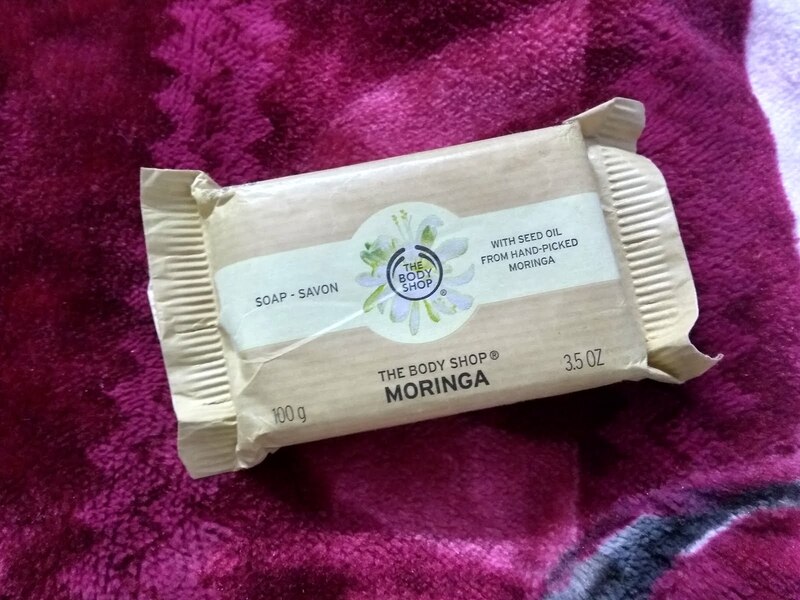 The Body Shop Moringa Soap comes in a nature-friendly paper packaging. You can easily dispose it. The moment you open the packaging, you can smell the light refreshing scent of moringa. 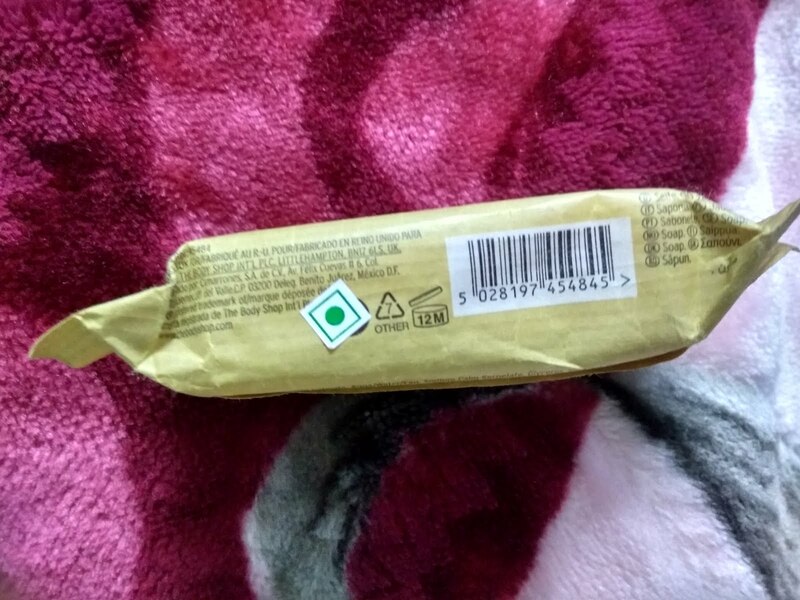 It has a nice yellow colour with a soothing fragrance. 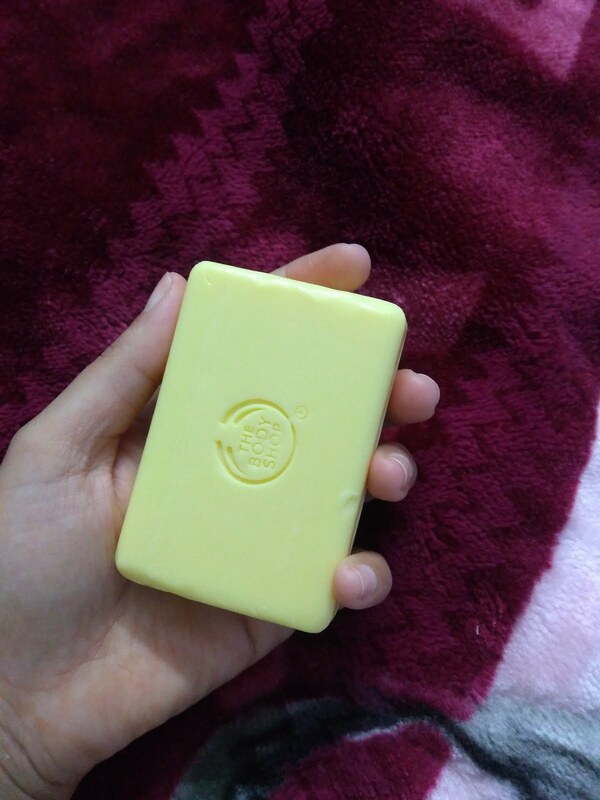 The soap feels soft on touch, similar to the cream moisturising ones. While using as well, it feels very soft and smooth on the skin. With just a little water, it can give pretty good lather. The fragrance is really amazing. I love using it mostly because of the smell. Overall, it is an average soap, not at all different from the ones you can buy at your local grocery or drug store. Even the brand claims that it is made with real moringa seed oil, but I do not see any difference in my skin. I have a combination skin and it makes my skin very dry every time after taking bath. However, the fragrance is really nice but I will prefer to buy The Body Shop Moringa body lotion or body butter rather than this soap. I will not buy it again! 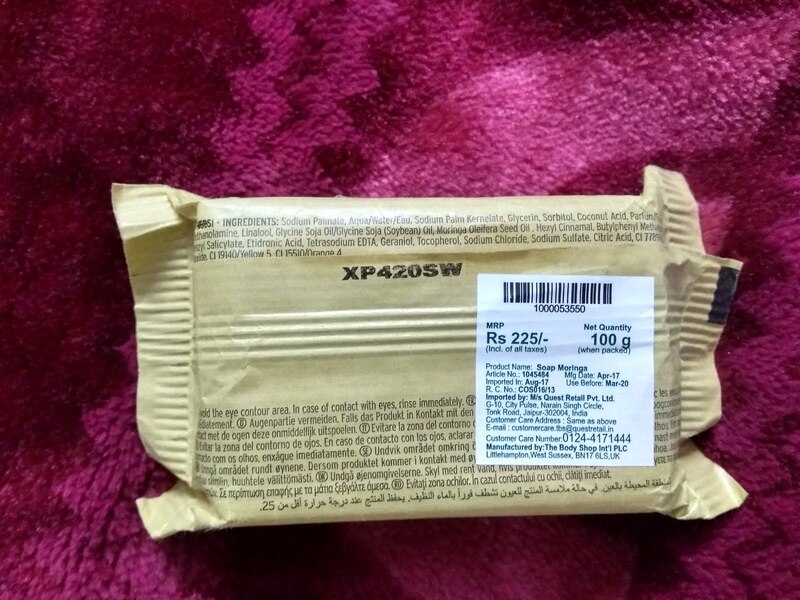 If you have tried this soap, share your thoughts with me in the comments below.